Questions with buttons are one of the most useful options to collect information from visitors. Use Pictures (Gallery) questions to showcase images in eye-catching layouts and styles. 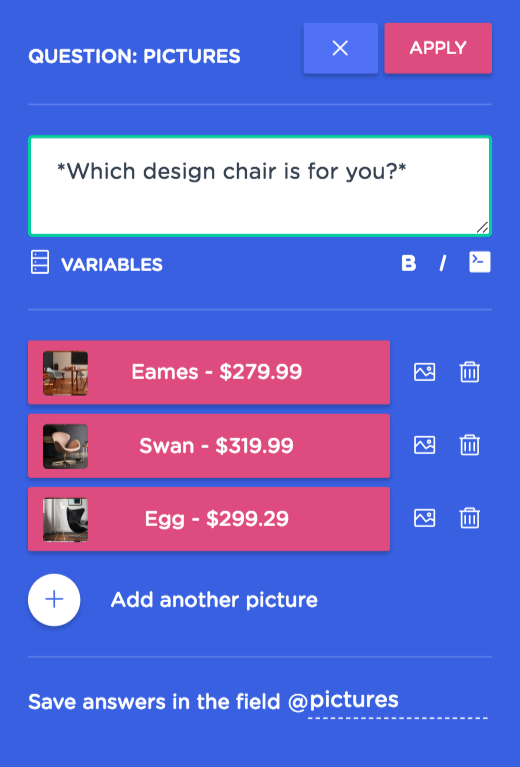 Add a text to your question. 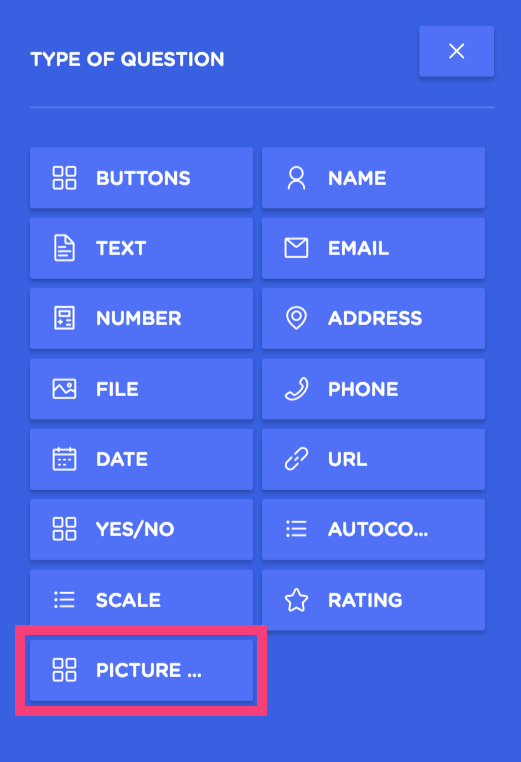 Add a picture to each of your buttons. Now you can easily customize all your buttons and bring your customers' engagement to the next level!